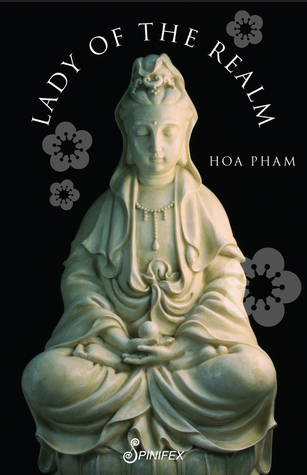 Lady of the Realm is the eighth book by writer and founder of Peril Magazine Hoa Pham. The novella follows the story of a young Vietnamese girl, Lien, who seeks peace in Buddhist beliefs and becomes a nun after her village is destroyed and her family is killed by the Viet Minh. Trouble follows Lien throughout her life, as the Communist government in Vietnam attempts to stamp out the influence of Buddhism. Pham covers a lot of territory in this short book, tracing Vietnam’s history from the Vietnam War and the exile of Vietnamese Buddhist monk Thich Nhat Hanh (which was followed by numerous public self-immolations), right up until the destruction of Prajna Monastery by the Vietnamese government in 2009. It is a book rich with historical detail, bearing witness to the persecution of the Vietnamese Buddhists throughout the 20th century. However, this largely untold story deserves a longer telling. To cover such an expanse of history and do justice to characters like Lien, her grandmother Ba, the wily Binh and the ill-fated Buddhist nun, Pham requires a larger canvas. Unfortunately, the telling feels somewhat hurried.